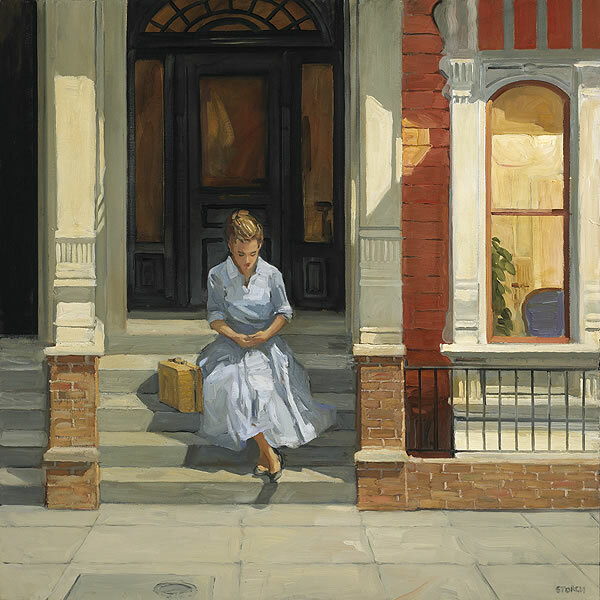 American Artist, American Painter, Paintings, Paintings Blogger, Sally Storch, U.S.
''If it’s true that every picture tells a story, Sally Storch’s paintings speak volumes. 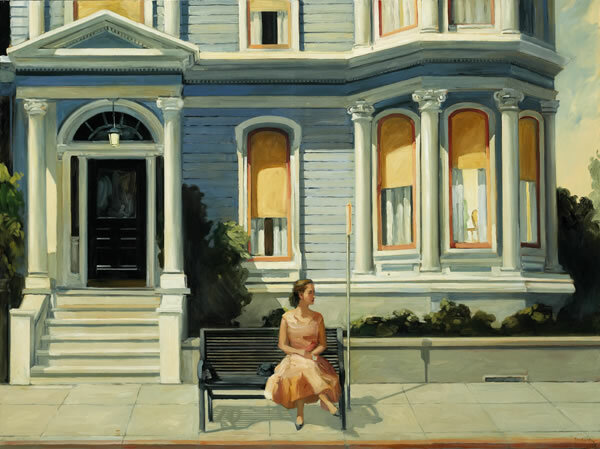 Set in urban surroundings, her narratives featuring ordinary women and men make one believe that, for a fleeting moment, time has stood still. A representational painter whose strength lies in creating an atmosphere of mystery, she engages viewers’ intellect and emotions. 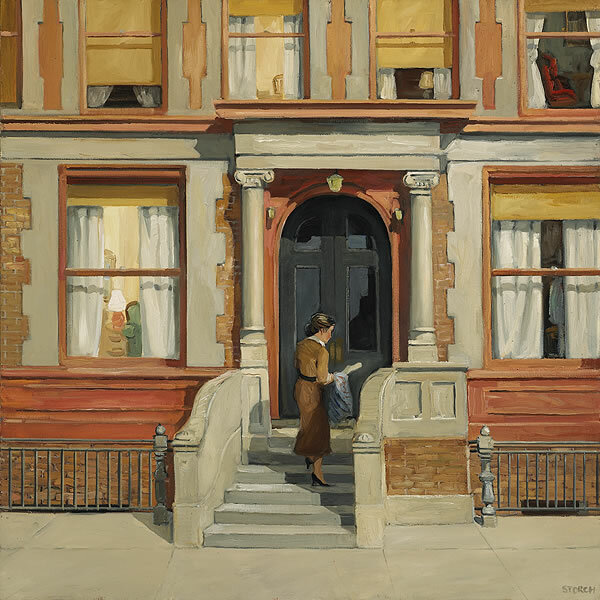 Storch’s story lines often originate in advertisements found in vintage issues of New York newspapers, publications that captivate this painter with the soul of a writer. Seizing, for example, on the contents of a 1930s advertisement seeking a French maid adept at sewing and mending, she created a tableau of a young woman draping a chic black dress over a mannequin. Set in a shop window, it suggests that the servant has metamorphosed into an entrepreneur. How exactly, is up to viewers’ conjecture. Regardless of their source, Storch’s story lines take shape in her fertile imagination before she brings them to canvas. She takes us into the midst of city life with its elegant restaurants, dimly lit diners, neighborhood shops and other architecturally diverse, realistic settings. 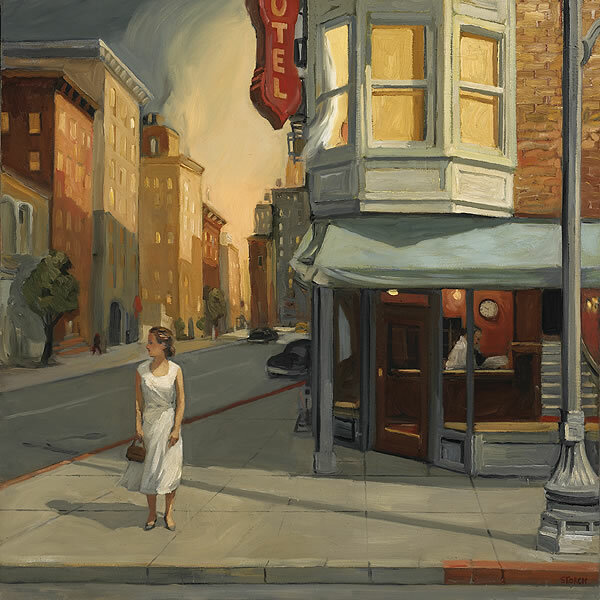 Thus, although her work has been compared to American Regionalists or artists of the Ashcan school, the tone of her paintings often echoes that of Edward Hopper—minus his signature downbeat. 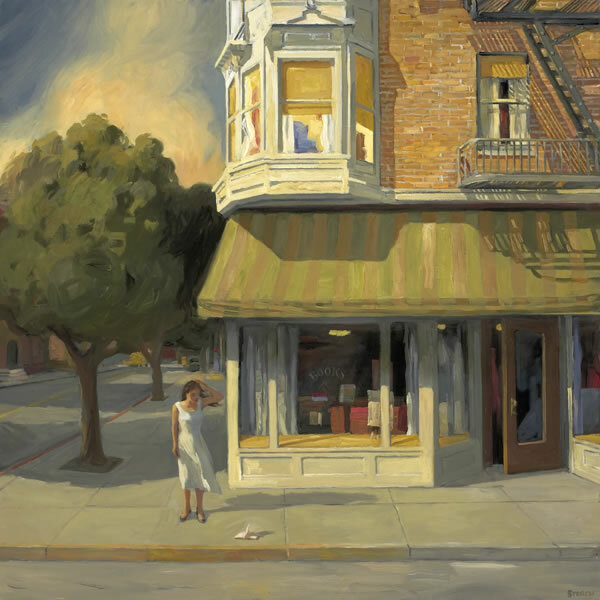 Tags: American Artist, American Painter, Paintings, Paintings Blogger, Sally Storch, U.S.